Avatar, supposedly the most expensive movie ever made, has made a billion dollars in record-breaking time. 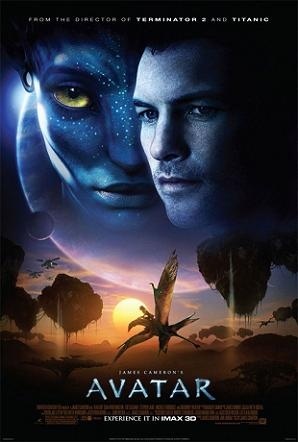 James Cameron's sci-fi epic Avatar, about a paraplegic human solider who infiltrates the Na'vi, a race of giant blue aliens, has made over $1 billion at the box office in only 17 days, making it the fastest movie to ever reach that landmark and the fourth biggest movie ever made, after Pirates of the Carribean: Dead Man's Chest, Lord of the Rings: Return of the King, and, of course, Titanic, also directed by Cameron. "This is like a freight train out of control," said 20th Century Fox distribution executive Bert Livingston. "It just keeps on going. I think everybody has to see Avatar once, even people who don't normally go to the movies, they've heard about it and are saying, 'I have to see it'," he said. "Then there are those people seeing it multiple times."